personal development | Passion in Action! Are you surviving, striving, or THRIVING? With all of the challenging seasons and life cycles that every person experiences, at some point we all need a little help figuring out the optimal life path we should be traveling. And just as a personal trainer works with athletes to reach their goals, 3hrive Exponential life, career, and entrepreneur coaching solutions will propel you to achieve extraordinary results in all areas of your life. 3hriveLife! is an intense, innovative, purpose-focused, three-month personal development process that will equip, encourage, and empower you to live your dreams in 3D! This coaching program will propel you to unleash your potential to thrive in every area of your life. 3hriveWorks! Equips people to work profitably on purpose by finding the right career path that will strategically leverage the unique blend of your passions, personality, and professional skills. 3hriveBiz! is geared to help you find your purpose in business and do business on purpose. Purpose-focused entrepreneurs are able to strategically blend their life purpose, passions, and professional skills in ways that solve problems and create solutions, generating value in the marketplace and positively impacting lives in the process. * Personalized strategy for your life, career, or business. * Inspired instruction to help you execute your strategy. * Accountability and collaboration with other group members (if you’re in a coaching group). * Flexible, progressive modules for real-time learning and application. Visit www.paulwilsonjr.com for more information. Contact me today at info@biznovations.net to sign up for our next coaching cycle. Stop surviving and stop striving. Start THRIVING! 3hrive 3.0 happens Saturday, May 22nd. Click here for more info. Opportunities are not going to just show up inside your comfort zone. Opportunities are seized by those who learn how to step outside their circle of familiarity by taking risks. Risk taking requires intentionally putting yourself in positions of discomfort, which means you have to get comfortable with being uncomfortable. I was recently searching Google and came across incredible images of sandcastle sculptures. I was amazed at these extraordinary works of art that people were able to literally carve out of dirt. You could definitely see they took a lot of care, concern, skills, time, energy, and effort to create something so amazing. After admiring the sand masterpieces I began to think about how stable they were. How long could they stay there looking pristine and perfect? Because they were built on beaches by the ocean, if a big wave came all of these stunning structures would be wiped out… and all that work, time, energy, creativity, etc. would be washed away. The only things left would be a crumbled mess and nice memories of what used to be. 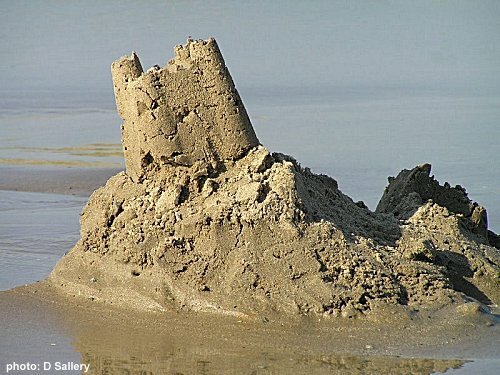 It’s sad that many people build their lives like sandcastles. They look great on the outside. They invest a lot of money, time, blood, sweat, and tears to get a good job, big house, fame, fortune, and friends. Unfortunately they lack a genuine connection with God, have poor character, engage in poisonous relationships, and possess many other deficiencies that are hidden by their public image. They create a lifestyle that others want, but reject the character needed to sustain it. Their success is constructed like a sandcastle. All it takes is one major life event and everything they have built up is gone in the blink of an eye. I believe the saying that “adversity doesn’t build character, it reveals it.” If they haven’t built their life on things that are deep-rooted, sustainable or long-lasting, what is left after they lose their fame, fortune, and so-called friends? You can’t prevent the waves of life from coming, but you can prepare and protect yourself from them. Build your life on things that are sure and secure: a dynamic relationship with God, moral values, unquestionable character, integrity, genuine relationships, etc. Many people will make a big splash in life, but aren’t around for the long-term. That doesn’t have to be you. You can be built to last. Resolutions will only take you so far. You need a personal revolution – mind, body, and spirit – to help you reach your peak potential where you were created you to thrive. These days everyone has their list of the most memorable events, people, products, etc. of the last year and decade. 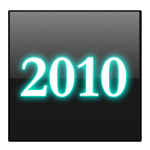 There’s also lists of predictions of what people think will happen in this coming year/decade. The only prediction I have is that if you do the same unproductive things in 2010 as you did in 2009, you will have the same unsatisfying results. 11. Dream B.I.G. in 3D! This list is a preview of a coming attraction. In February I will be initiating a 30 Day Dream B.I.G. Revolution for anyone who wants to see their life improve dramatically over the next 12 months. Stay tuned! I purchased my first video camera earlier this year. Although I’m still an aspiring novice when it comes to videography, I’ve had a lot of fun learning the ins and outs of capturing inspiring moments on video. One elementary thing that I learned is that no matter how technologically advanced your camera is, if you are too close or too far away from your target, you will get a blurry picture. In order to bring the picture in proper focus, you have to adjust your distance and/or lens on the camera. Why am I alive? What am I purposed to do? What is my vision of the future? Why do I do what I do? What goals have I developed for my life? Why did I choose those goals? What am I chasing and why? What will be my legacy? If you can’t answer these questions confidently, I suggest you take some alone time with the One who created you and gave you purpose. Without God’s input, you can assume you’re making good decisions, but you could be missing some critical elements. His B.I.G. picture provides clarity for your direction and purpose in life by giving you a better perspective. A person’s brand, i.e. reputation, is about as fragile as an egg shell. It takes a lot of time to nurture and develop that brand into something recognizable, valuable, and marketable. However, it’s not indestructible. 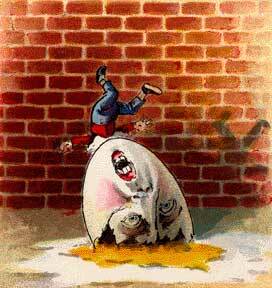 If that person has a momentary (or on-going) character crisis, very quickly that brand can be shattered into a bunch of fragments, just like Humpty’s shell. Proverbs 22:1 says, “A good name is more desirable than great riches; to be esteemed is better than silver or gold.” Once your brand has been shattered, it’s extremely hard to repair. Some would argue that after a major transgression one’s reputation can never be fully restored to where it once was. An ounce of prevention is better than a pound of cure. The best brand repair strategy is prevention through character development. If you don’t have the character to handle being on the pedestal, be careful how high you want to go, because if you fall it will be extremely difficult to put back together all of your pieces. A B.I.G. – Bold, Innovative, God-Inspired – dream is a prayer to God of what He’s already whispered to your heart. Don’t defer your dreams any longer. Get your dreams out of your heart and into your life. 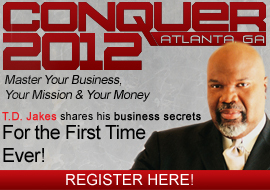 Join me on Saturday, November 21st, as I equip B.I.G. dreamers to transform their ideas into reality. For registration details and other information, log on to DreamBIGin3DLive.eventbrite.com. See you there! I am really excited to announce a special event that will equip and empower you to get your dreams out of your head and into your life. Dream B.I.G. in 3D Live Experience is not about escaping from reality. Instead, it’s a uniquely designed environment to launch you on a journey to create a new reality for your life based upon the incredible dreams God has placed in your heart. This interactive, high-energy seminar will teach you how to live a legacy, so that you can leave a legacy. Don’t miss this momentous occasion to gain key insights from the author, engage with other B.I.G. dreamers, and finally start living your B.I.G. dreams! For registration information and additional questions, please visit DreamBIGin3DLive.eventbrite.com. It’s often easy to assess our level of physical health. There’s plenty of tests we can take to provide us with information that will give us a good picture of our overall wellness. Likewise, we can analyze our bank accounts, cash flow, and debt levels to determine if we are financially fit. F – Future focus: Do you career pursuits align with your life purpose? Are they getting you closer to accomplishing your short and long-term goals? I – Intense interests: Will your career pursuits fully integrate and leverage your passions? T – Top talents: Are your pursuits going to leverage what you do the best? Are these pursuits going to help you become the best at what you do? Sometimes it’s easy to follow paths that seem great, because they have worked out for other people. However, that doesn’t automatically mean those paths are the right F.I.T. for you. Just because something is right for someone else, doesn’t make it right for you. Your best life path will F.I.T. you specifically. Everything that looks good isn’t good for you. Make sure that everything into which you invest your time, talents, and treasures is purpose-driven, passion-pointed, and profitable!